Bart Simpson #97 is the ninety-seventh issue of Bart Simpson Comics, it was released on July 22, 2015. "College nerds Doug, Gary, and Benjamin have developed a new app, but it’s going to take the marketing savvy of one Bart Simpson to make them all multi-millionaires. 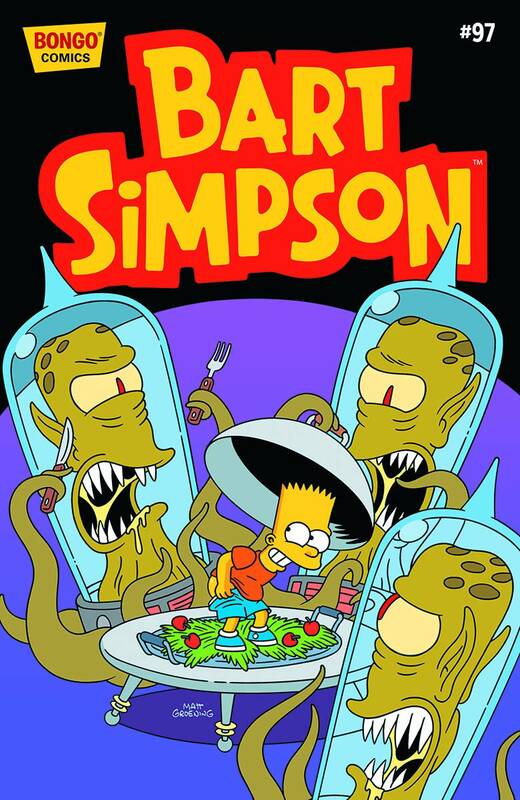 And Bart is needed once again when he’s is recruited – well, kidnapped – by Kang and Kodos to help counter an attack on Rigel 7. When microcosmic and macrocosmic forces convene, it’s up to the boy with the name on the comic to answer the call."